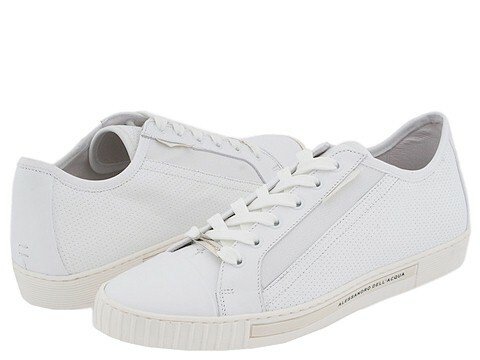 Seriously cool sneaker style from Alessandro Dell'Acqua in perforated leather with textile inlay. Leather lining. Rubber sole with logo detailing. Made in Italy.